I was lucky enough to get a gaming mat from Gamemat.eu recently So how do these hold up to gameplay and are they worth the price? 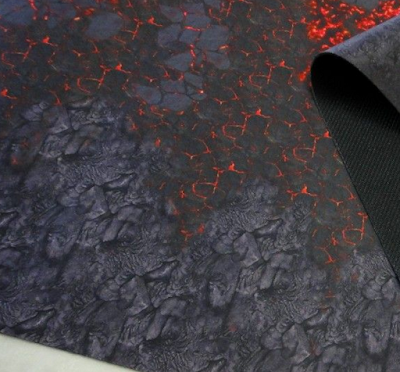 I was lucky enough to get one of the gaming mats from Gamemat.eu recently to review. Given my pick of their 15 different designs I knew which one I had to have. So how do these hold up to game play and are they worth their value? First a quick overview of what these are. 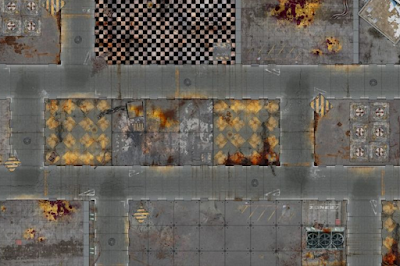 Game Mats makes 6′ x 4′ gaming mats for use in a variety of miniature games. They are essentially a giant mouse pad with an image printed on the top of them. When I say they’re like a giant mouse pad, I literally mean it. They are made out the exact same material, with a rubber grippy surface on the bottom of them. 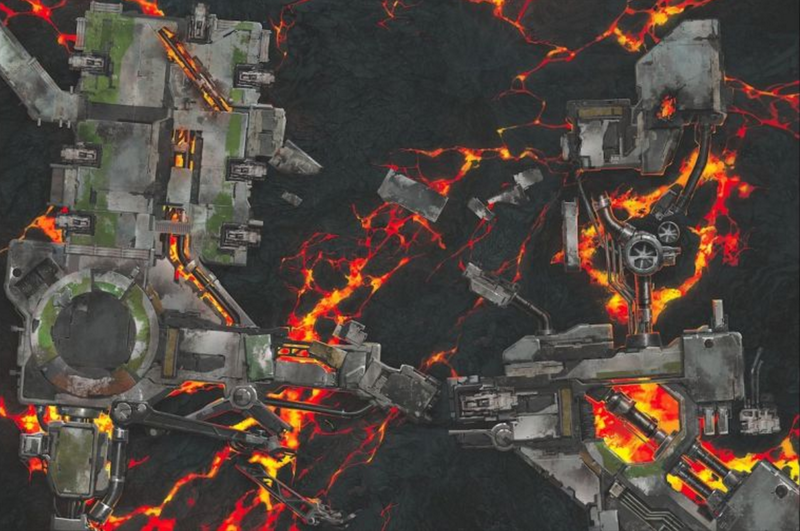 They have a bunch of different options for the mat designs, ranging from grassy fields, to lava plains, city streets, and even mars. I picked out an desert one with some ruined Egyptian looking buildings on it, of course. A week or so later the mat arrived at my door. This thing comes in a giant box, so be sure to ship it somewhere where you can have a giant box sitting on your porch. When I opened it up the mat itself is in a very handy black carrying bag. This has handles on it for ease of carrying and one zipper that runs all the way along the length of it. The mat is rolled length wise, so your carrying case, and the box it’s shipped in is four feet long. It’s not heavy at all though, so it’s super easy to take with you where ever you want to use it at. Pulling the mat out I was very happy with the quality of it. The design is bright, crisp, and clear. I would say the mat is about a quarter of an inch thick, so it can roll up pretty thin if you need it to. Of course the real test of any gaming mat is to get a game in on it, so that’s exactly what I did. 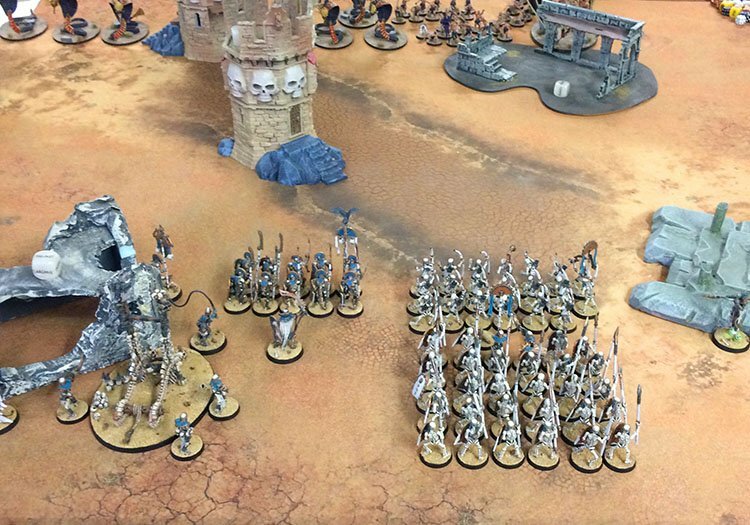 The store near me was running a one day Age of Sigmar tournament, so packing up my Tomb Kings I grabbed the mat and took it with me. Once I got to the store it took me all of three minutes to set the mat out. Once all of the scenery was down it looked even better. One thing I really like about playing on it was how easy it was to move my models around on it. Since it’s similar to a mouse pad it’s pretty easy to just “glide” the models over it. No issues of my bases getting snagged on anything textured. It’s also soft in case any of your models fall over, but I didn’t run into that problem. Even though it’s soft, it’s firm enough that the models sit comfortably on it as if it were a completely solid table. The only issue I did run into was that some of the scenery, mostly the ones with completely flat bottoms, tended to be easy to accidentally nudge a little bit. It wasn’t a huge issue though and I just moved the scenery back the centimeter it moved. You could easily fix this by putting a few of those little gripper circles on the scenery that they put on the bottom of vases and such to make sure they don’t move around. My opponent thought the dice bounced a bit too much on it, but I didn’t have a problem. I felt like they bounced just as much as they would on anything besides a wooden table. You don’t get any clattering noise from the dice as well since the mat is soft. This is nice if you’re playing in a public space like a game store as I was. The most important part of all of this though is that it made my game look great! 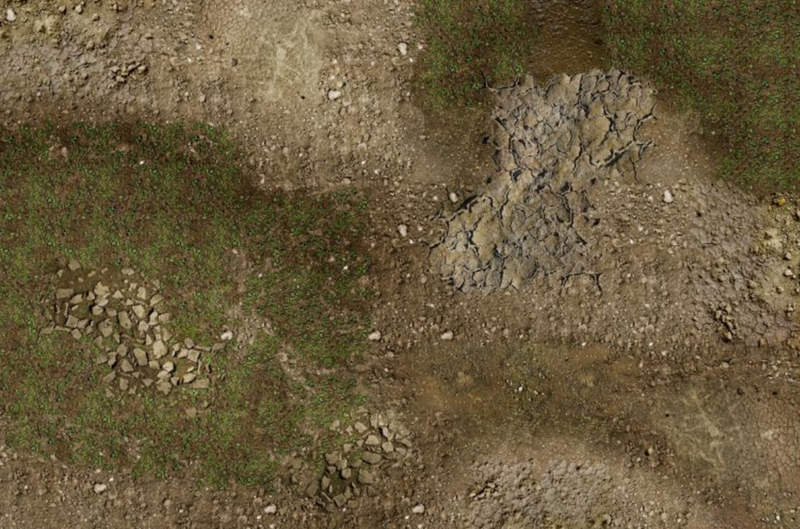 Clearly the mat is completely flat, so it won’t have the same effect as a fully modeled and textured board, but visually it’s miles ahead of a plain table or rubber gaming mats. 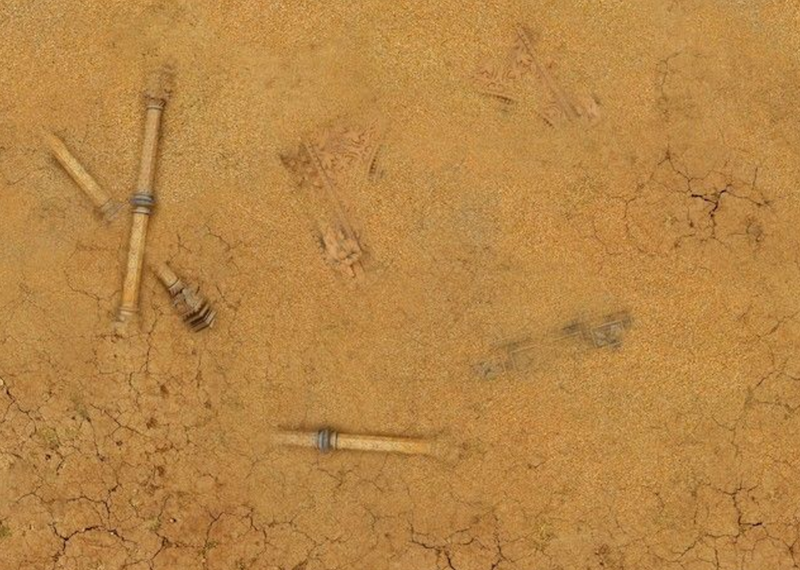 It looked like my Tomb Kings were fighting over the ruins of their desert empire. If you make scenery that ties into the theme of your mat it will only be better. Personally, I still intend to make a fully modeled and textured board for my Tomb Kings, but this will be reserved for my table at home or truly special occasions. The ease of transport for this just makes it a non choice on which one I would take with me to game elsewhere. Since they are only $62 per mat as well it wouldn’t be too unrealistic to buy a couple different designs. 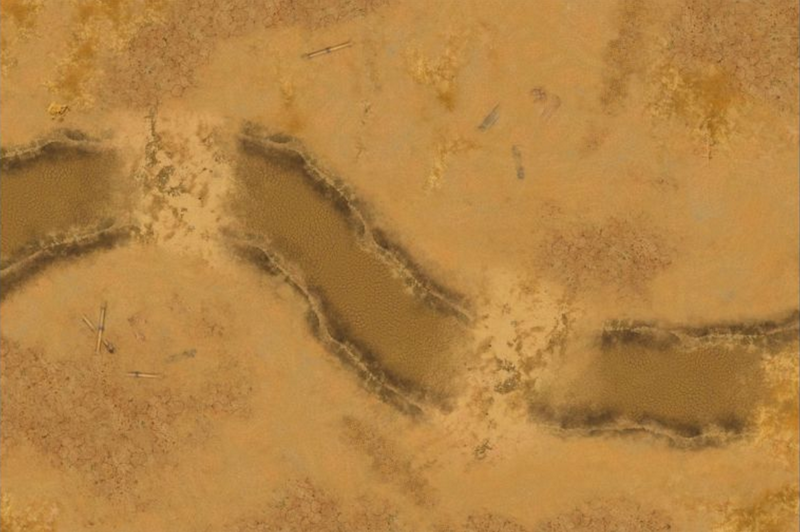 That way you can easily switch up the environment you are playing on without having to model a whole new board. I’m already thinking about getting a lava one for my Stormcast who mostly fight in Aqshy and maybe a sci-fi one for my 40k armies. 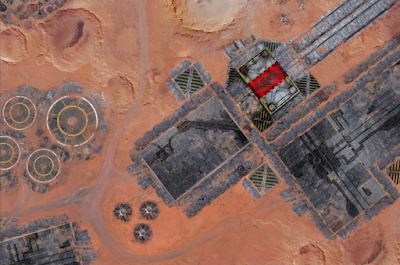 That Forges of Mars and Deathworld Forge mats are pretty dang cool. If you are on the fence about these I would definitely highly recommend them. They are a really high quality, have a multitude of designs, and are a fantastic value for how much they cost. I was also able to get a quick interview with the company that makes them since I was very curious about how they design and produce these. Tyler: How did you get started with making these mats and where did the idea come from? 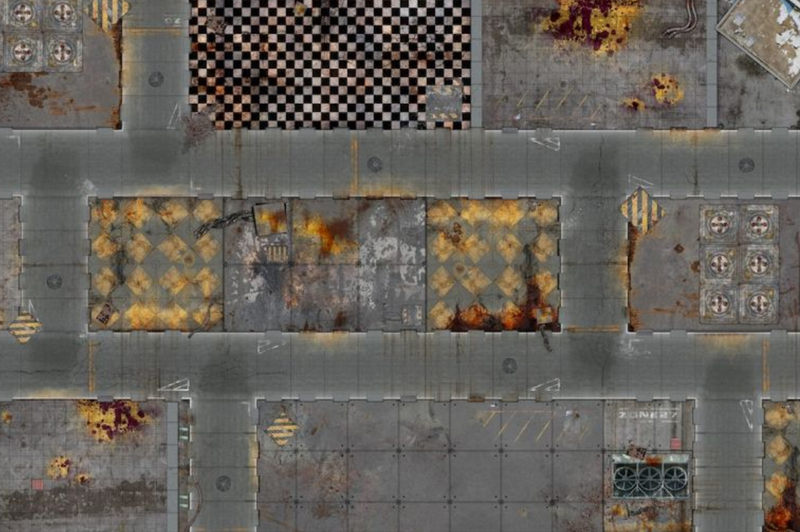 Game Mat: When I bought my first 40k starter DV back in 2013 I was wondering why people play on wooden boards, just sprayed. 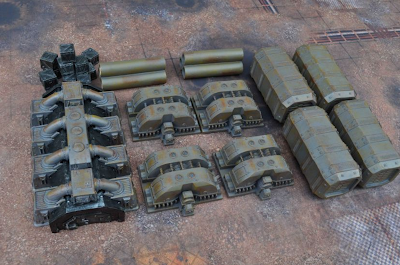 Which does not look too good compared to superb plastic minis and many hours spent on paint jobs. I knew there are some mats around, but mostly PVC which appeared to me rather as printed paper/poster then proper playmat. Then the idea with mousepad came and I started to look how to make it real. Tyler: Can you explain the process of creating the artwork for the mats a little bit? Game Mat: First I have some idea which I explain to designer then he makes first sketches and we talk over that, choose some direction and he finishes the mat. Then we review again and tweak some details. Tyler: How do you decide which theme to make next for the mats? Tyler: Two of your mats are super detailed and marked as exclusive, the Mars one and the Deathworld Forge one. Do these take a lot longer to design then others due to their complexity? Game Mat: Yes those mats were done by AAA video game designers Johan Schepacz (Worked on Deus Ex, Tomb Raider) and Kory Hubbell (worked on Halo 5) and the design cost was many times higher than the other mats. There is a quite famous name behind that so we consider that as “signature edition”. Our other mats are made by as well most skilled designers, but not so much exposed names to public like e.a at video games industry. Tyler: Any hints about what we can expect in the future? Game Mat: I think wargaming and board games industry is on good path, with more companies coming in, creating more games and stuff and player base growing as well. Lot of cool board games getting more mainstream attention and that is good for hobby in general. The industry should growth next five years in a quite fast pace I would say. I would like to thank Game Mat for giving me the opportunity to review one of their mats and also for taking the time to answer some of my questions about them. You can find their selection of mats on their website here. The standard 6′ x 4′ ones are only $62, which is really a pretty good price. They also have 4′ x 4′, 3′ x 3′, and their two Limited Signature Edition mats. 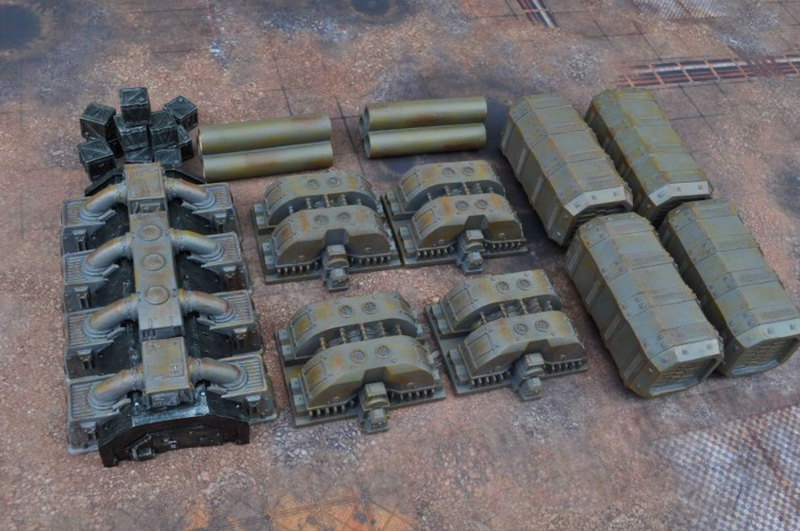 They carry a selection of terrain as well and even an easily transportable folding gaming table to use your mats on and ship worldwide!